transcribe voicemail messages straight to their inboxes. 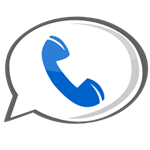 Users may place phone calls through Google Voice without using their minutes, and phone calls made to any of the 50 states or Canada are free. Those already utilizing other Google services will appreciate that Voice maintains the same simple but functional layout and appearance found in other Google services, such as Gmail. Voice is available on the web and on a variety of mobile platforms via Google Voice applications, most capable of which happens to be (surprise!) the one for Android. 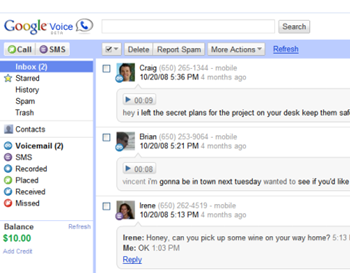 Google voice, which now has over a million users, was launched to private beta just over 15 months ago, after Google had taken over a company called Grand Central in 2007. Google has a history of keeping things in beta for quite some time – Gmail was beta for 62 months – so users should expect Voice to be in beta for quite a bit.